Today the Senate is making a new tax plan for our nation. It is a tax plan that could add 1.5 TRILLION to our national debt. It should be a criminal offense to willingly put such a burden on the American taxpayer. Taxation and spending are two sides of the same coin. In some ways it does not matter which tax plan we have, as long as federal spending continues to rise so will our debt. The root cause of the problem is the men and women we send to Washington are too chicken to cut federal spending. They are afraid they might lose votes and they are terrified that they will lose campaign donors. I have proposed 72 billion dollars in budget cuts in less than 2 weeks. That is about 1/6 of this years deficit. I have many more ideas to cut the budget. The cuts that I have proposed do not harm anyone, they do not take anything form anybody, and I believe that they will make our nation stronger. They are what sound fiscally conservative policy looks like. It is time to stop sending chickens to Washington, It's time for a change. The war on Drugs has failed. It is expensive and it is bad public policy. It has led to high incarceration rates and wasted taxpayer dollars. Almost half of the people in federal prison are there because of drug crimes. America has only 5% of the worlds population, but 25% of the worlds prison population. We spent 29 billion on the war on drugs in FY 2017 and have projected spending of 26 billion in FY 2018. The United States has spent hundreds billions of dollars on making the country drug-free, but many illicit drugs are purer and more prevalent than ever before. Banning things only increases the profit margin for selling them. We should end the war on drugs. It is bad for the deficit, it is bad public policy, and it has been proven not to stop drugs in America. It's time for a change. The war on drugs has not stopped people from using drugs, but has grown a dangerous black market. We should stop making people criminals for drug use and sales. We should trust people to make their own decisions about what they put in their bodies. The Afghanistan war has cost over 1 trillion dollars according to the government. Other estimates that include the cost of borrowing and the additional services for Veterans put the cost significantly higher. In addition to the monetary cost their have been 2,386 military deaths, 20,049 wounded American service members, and 1,173 U.S. civilian contractor fatalities. We spent 5.7 billion last year, and President Trump is sending in more troops. We cannot win the war in Afghanistan. We have no path to victory and no clearly defined mission. The Taliban and Al-Qaeda are still operating there, and will be if we ever leave. We are not going to turn Afghanistan into a western style democracy. I think we need to have a national discussion if it is wise to send our service men and women halfway around the globe to fight in a country that few can point out on a map. The military deserves to have a path to victory and a clearly defined mission. We cannot ask our military families to sacrifice so much over such an extended amount of time in an endless war. Its time for a change. I think after looking at the high cost and the low return we should end the war in Afghanistan. I have talked with my family and many friends about running for Congress. They all seem to have the same question "why". In my opinion our federal government is broken. I have come to the conclusion that no amount of shaking my head in disgust or having online discussions will fix it. I think I have an obligation to try to change my Representative, because I believe I can do better. If we want Congress to work better, we need better men and women in Congress. In district 17 I know the incumbent supports a fiscally liberal, deficit spending, privacy intruding government. He voted for a 4 TRILLION dollar budget. I want a congressman who says no to deficit spending, and yes to more personal freedom. It is my birthday, please click here to consider helping my campaign. 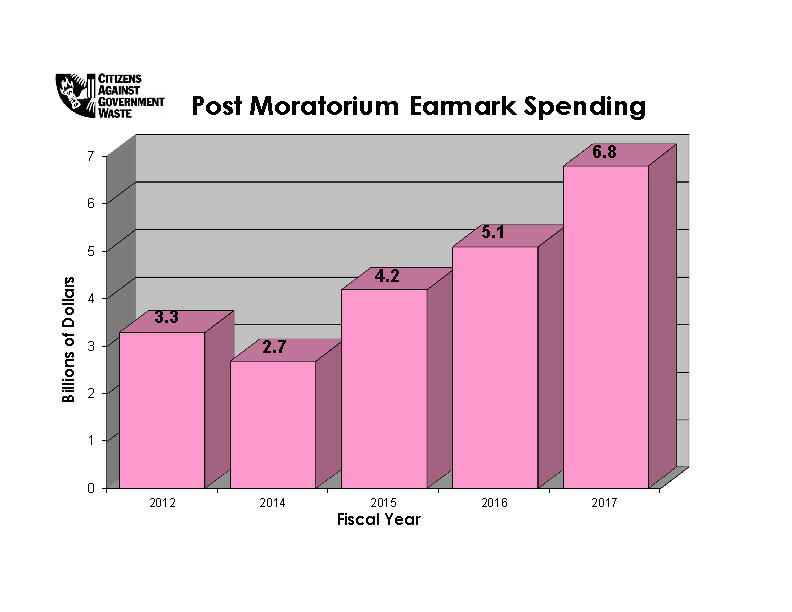 It is time to end Earmark (Pork-Barrel) spending. Our nation spent almost 7 billion dollars last year on pet projects to help legislators win re-election. Earmark spending is bad for the deficit, and the deficit is bad for America. I will vote no on any appropriation bill that has earmark spending in it. The T.S.A. has proven to be largely ineffective at stopping banned items from getting on planes. However, they have succeeded in inconveniencing millions of Americans who fly and all of the taxpayers. We should eliminate this agency and save 7.5 billion in deficit spending. We can put the transportation companies in charge of their own security. Private companies will do a better job than the government, and travelling customers won't be made to feel like criminals. The companies can adjust their fares to pay for the security which will be passed on to the travelers. Those who travel a lot will pay more, those who do not travel won't pay any. To start down the road to fiscal responsibility we have to eliminate the budget deficit. For the FY 2018 we are expected to have a 440 billion dollar shortfall. The easiest way to cut the budget is to make cuts in the 1.2 trillion dollars of discretionary spending. Foreign aid is a good place to start. We should not be borrowing money to give to other countries. I have heard over and over again that foreign aid is only 1% of the budget and cutting it will not solve the problem. I see it differently. Eliminating foreign aid will save 25.8 billion, or 6% of the deficit. We do not have to pay foreign countries to be our allies. America has the strongest economy in the world, countries and their economies want to be allied with America. Our current set of politicians in Washington have proven that they cannot do what is right for our country. We are becoming more divided than ever before and at the same time being spent into insolvency. If we want the government to change we need to replace the politicians who put getting re-elected above the good of the country. I am running for the 17th Congressional District of Texas. I have a plan to curtail deficit spending and restore personal freedom and responsibility. Please go to ChurchmanforTexas.com and contact me. It is not to late for our country, but it's time for a change.